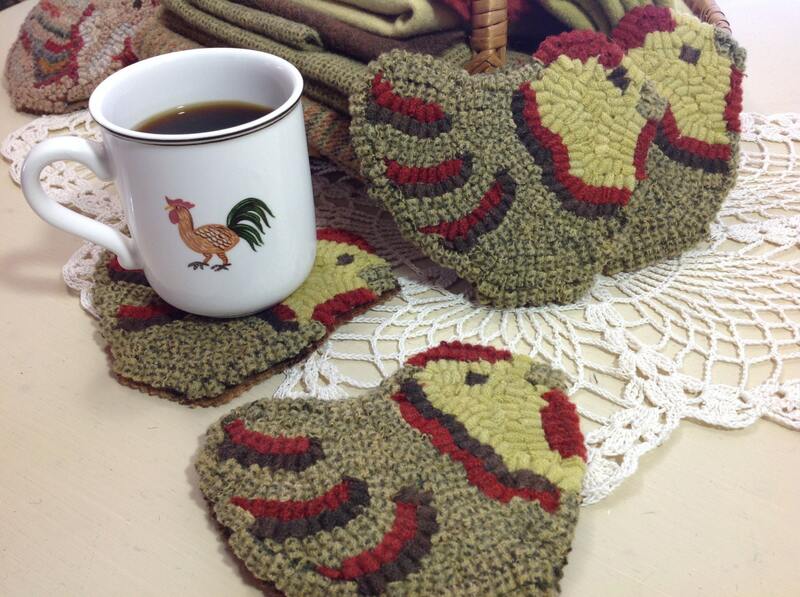 This listing is for the rug hooking pattern "Chicken Mug Rugs". 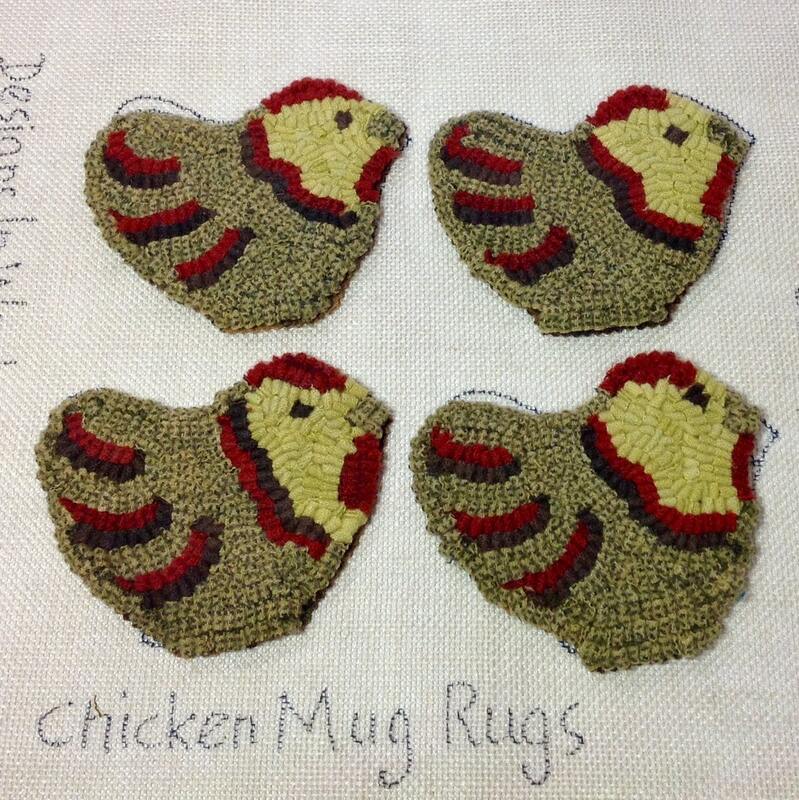 This is for the PATTERN ONLY, not the finished mats. 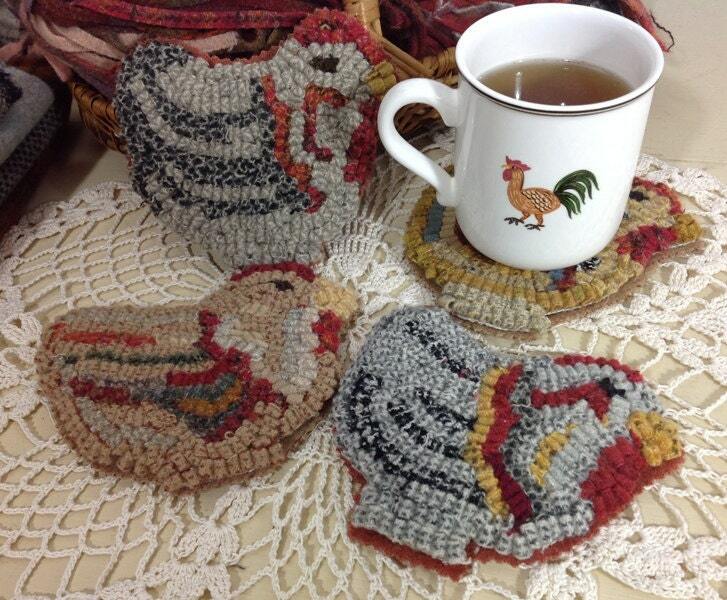 Each of these four little chickens measure approximately 5-1/2" x 4-1/2" in diameter and are hand drawn on a 20" x 20" backing fabric to make it fit on most rug hooking lap frames or in a sturdy 14" hoop. The raw edges of the backing fabric have been serged to prevent raveling while hooking. This pattern is such a fun small project that hooks up quickly. You can make them into ornaments too! It would make an ideal hostess gift. Have a stack ready for holding that cup of coffee, tea or cocoa. Very nice pattern came with color photo. Can't wait to make a set! 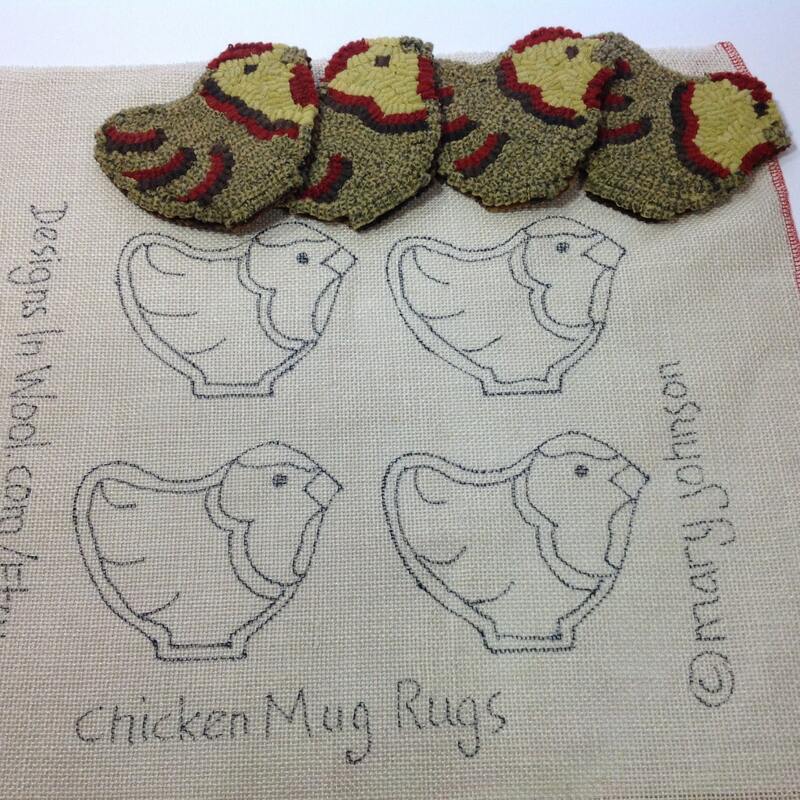 Looking forward to hooking these wee chicks and love browisng throughout the shoppe. Thank you for the fast shipping and helpful convos.